To be honest I barely read contemporary romances. I saw One Little White Lie on Netgalley, and decided to give it a try since I could use a short, fun novella. In One Little White Lie Kate lies to her friend Lisa, and tells her she has a boyfriend. She would never find out that she was lying, right? But then Lisa tells Kate that she met the wonderful boyfriend, and everything gets very confusing. I very much enjoyed this novella. The story catalyst is quite predictable, but Ms Hill handles the subject wonderfully. Kate is just as surprised as anyone when her fake boyfriend joins her at a party, and I found the situation hilarious. It was all well written, and had this romantic comedy movie feel. 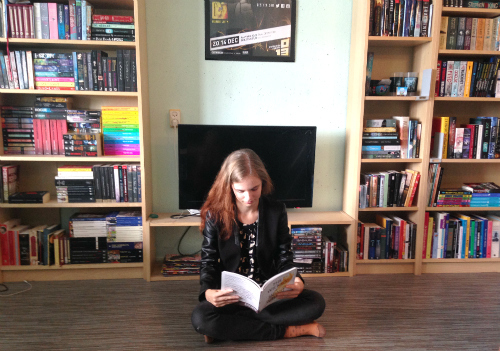 The only thing I didn’t like about the book was the point of view of the fake boyfriend. The moment he lays eyes on Kate, he things she’s an angel and he just wants to know her. He instantly identifies her as the love of his life, the woman he will stay with. I found this completely unrealistic. I wish he just found her beautiful and that he wanted to get to know her better – this was just a bit too much weird-stalker behaviour for me. I didn’t let this influence my rating too much because I know this is make-believe. This is how women want men to think, which doesn’t necessarily has to be realistic. The hurdles the couple has to overcome are quite realistic though. It’s nice that not all of a sudden everything is perfect between them. They both have issues to overcome, and it takes them a while to come to terms with everything. 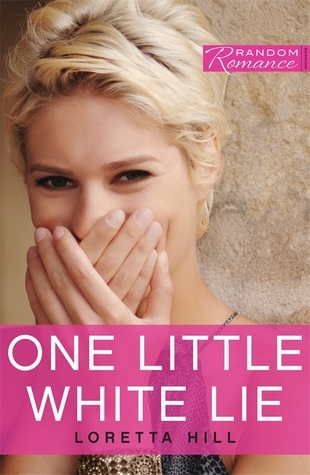 One Little White Lie is an entertaining novella that can easily be read in one sitting. Perfect for your daily dose of escapism and romance. What do you do when your best friend is the serial match maker from Hell? Single girl Kate Dreson knows that her friend, Lisa, is not going to leave her alone unless she tells her that she is happily dating someone. Who knew that One Little White Lie could so blatantly backfire? The imaginary boyfriend she described to her friend so lovingly suddenly walks into her life and starts making himself comfortable in it. Trapped by her lie, poor Kate is powerless to stop him. But the real question is, does she really want to?